A number of studies benchmarking women's leadership in individual sectors demonstrate that despite legislative and attitudinal changes, women are over-performing, underrepresented and underpaid. Factors often cited for contributing to women's lack of leadership advancement and pay equity include choosing to invest in family responsibilities, chosen fields of study, and lifestyle preferences. Additionally, there is typically an inference that women are "choosing" to not pursue senior level roles, and, possibly, to not work at all. In reality, most women have no economic choice except to work, and/or seek professional advancement and leadership positions. Therefore, it is in everyone's best interest—women, their families, and our nation—for women to receive equitable treatment, pay, and opportunity for advancement. In this national study, Benchmarking Women's Leadership in the United States, researchers employed a different methodological approach from previous studies. What they found is quantifiable evidence that debunks many of the existing myths about the lack of women leaders in the United States. 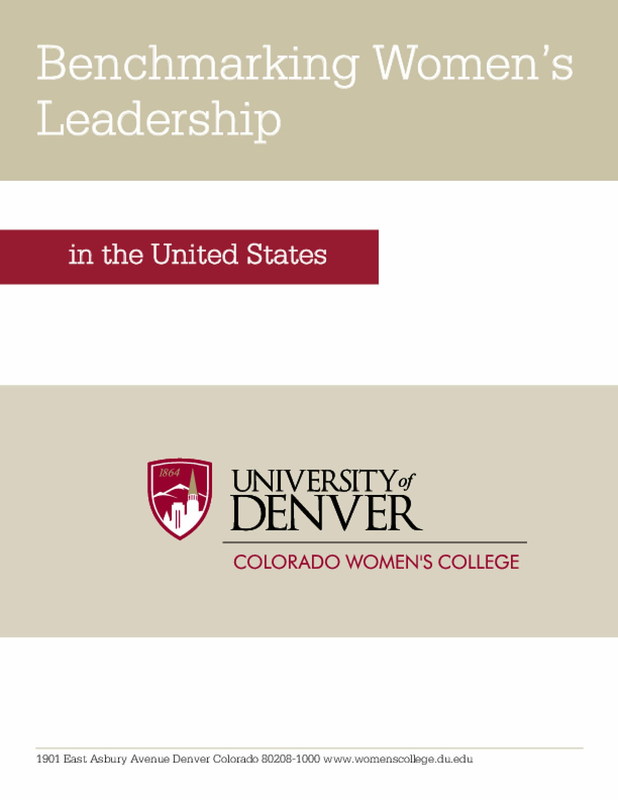 Copyright 2012 by Colorado Women's College, University of Denver. All rights reserved.